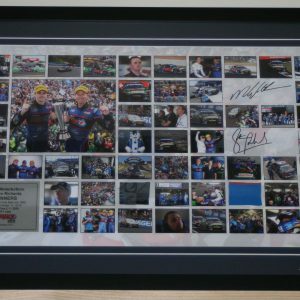 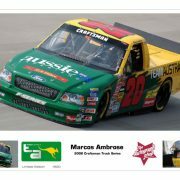 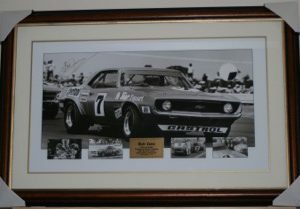 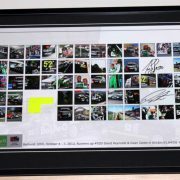 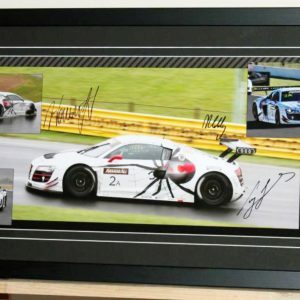 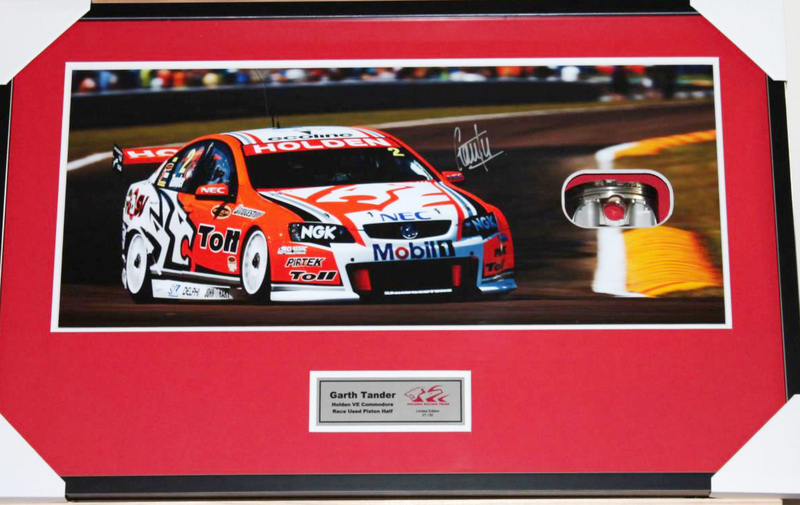 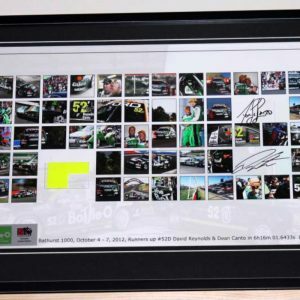 Hand signed limited edition print of 50 pieces worldwide by Garth Tander, lead driver at HRT for the past 7 years. 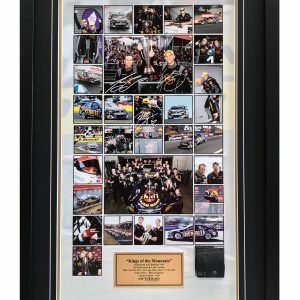 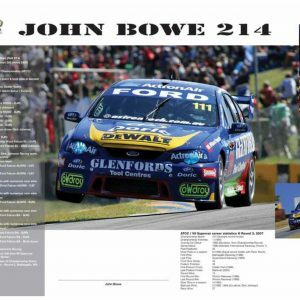 In that time he has won numerous races, pole positions and the 2012 Bathurst 1000. 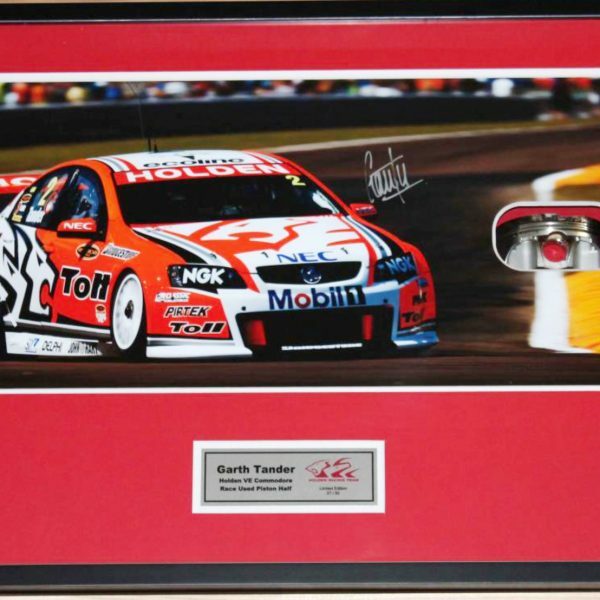 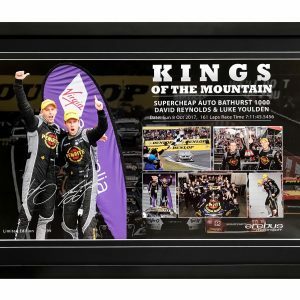 This item comes magnificently framed with a race used piston half.